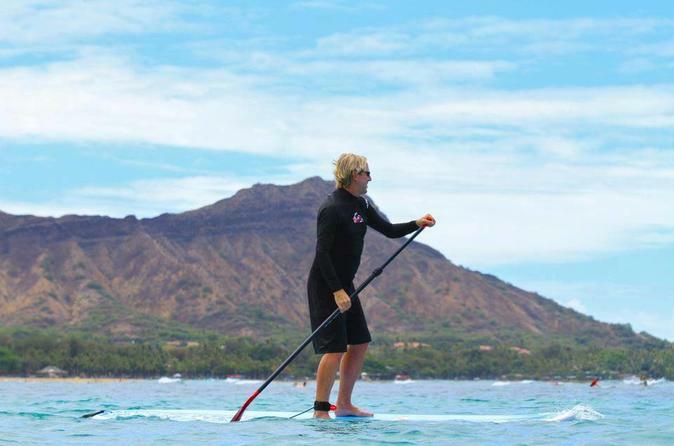 Try the fun alternative to traditional surfing with a paddle in hand — private stand-up paddleboard lessons are tailored just for you. All Gone Surfing Hawaii lessons start on the sand with ocean awareness and safety. Then we get you right into the water for a true ocean adventure. No worries, our licensed instructors are trained in first aid and lifeguard CPR. Once in the water, we show you all the fundamentals of SUP. And if you're an experienced rider, then our private lessons are the perfect way to perfect your SUP wave riding skills.